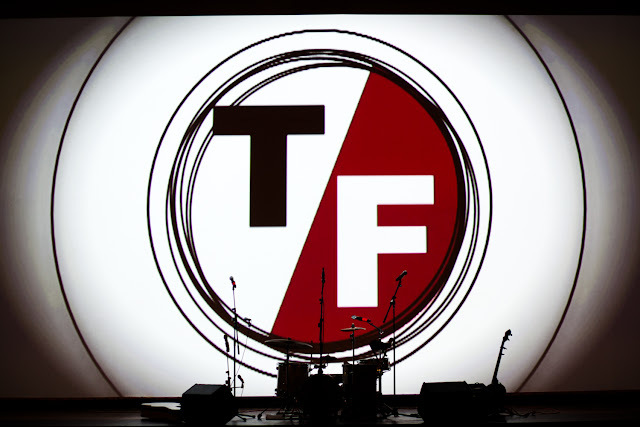 Even with all the snowstorms in Columbia’s way, the True/False Film Festival is one outstanding event that is worth bundling up to attend. Since 2003, the festival has been bringing fresh documentaries that have been featured at larger film festivals like Sundance and Toronto to downtown Columbia. So before these movies become huge, you can watch them this weekend in the heart of CoMo. The box office is located at 1020 E. Broadway, on the corner of Hitt and Broadway. Each ticket costs $8 at the box office and $12 at the door, if there are still tickets left before the show. Not bad for a college student, especially for the cool experience you are going to get! There are even panels with the directors and producers to answer burning questions and provide insight into their work. Still not convinced? Here are some documentaries that caught my eye while reading the festival’s program. If you’re looking for a realistic yet romantic story, "Cutie and The Boxer" will be the choice for you. The documentary follows a Japanese husband and wife in New York who have been living their lives striving to achieve their big dreams of becoming artists. The wife, Noriko, described their relationship as “two plants in one pot” fighting for the same “nutrition” when sometimes there’s not enough. This story lays out the strong love and hate relationship in their 40-year-old marriage and how that shaped the relationship they have today. It’s going to be bitter-sweet. For a light investigation and analytical story, "Stories We Tell" reveals an incident that happened in director Sarah Polley’s family. She managed to push her family members to tell the story as they know it, showing the various angles different members have. As the layers of the story are stripped one by one to find the true facts, characteristics of storytellers are revealed. Maybe we can see ourselves and the way we tell stories to people while following Polley’s family’s story. If you liked Kathryn Bigelow’s "Zero Dark Thirty," you might want to check out "Manhunt." The documentary focuses on the investigators of Bin Laden who went largely unnoticed during the media coverage of the event. Most of them are women who have been doing research for almost 20 years. The director managed to capture the personalities of the women during the movie, which makes us understand the reality of the situation. Watching other women chasing the most wanted man by America? Oh, hell yes! Girl power. "Twenty Feet From Stardom" shines the light on the backup singers of famous artists like Michael Jackson, Phil Spector and The Rolling Stones. The documentary follows the journey of these three women, the past careers they had in the shadows and what the future awaits for them now. The movie sounds like a story that can move us college girls into dreaming and achieving bigger, to appreciate our own talents and to learn to not settle for less. For a thrilling mystery, "Who is Dayani Cristal? "is the movie for you. The documentary uncovers the search for the identity of a dead man found lying next to the Mexico border. The only clue the investigators can use to find it is a tattoo across the dead man’s body that reads “Dayani Cristal.” The search takes them to Honduras, Guatemala and Mexico, tracing back the steps the man took that led his way to the U.S. side of the border where he took his last breath. Now who doesn’t want to know the ending of that?